First time at this campground and wow!!! Katie went out of her way to make sure myself and my 3 friends were comfortable, people continuously checked on us, asked if we needed help, and informed us of any events going on at the site. It feels like family here, everyone was friendly, the river was a blast! I know where I will continue to camp from now on! Thank you for the amazing service from all the staff at riverbend, no place else can compare!! Evry kid friendly, restrooms are usually clean, employees are also very nice. Usually they have events almost every weekend! Very fun campground! Definitely recommend you check them out! Great people, great place and great times The staff went out of their way to make sure we had a great time even when the tubes we bought didn't hold air. Lol They stepped up and gave us tubes for the river. See you next 4th of July! We used to visit every august and always had a blast!! It's such a good time I've decided to bring my family and friends this weekend for my birthday!. Love love love, best place to bring your family and recommend to friends, I've camped at alot of places over the years, this one is the best. Great campground! Lots of activities! Staff was the friendliest we've ever encountered! Cleanest restrooms i'd ever seen. Campsite was clean, large, and very comfortable. River trip was great, staff was friendly and very accommodating. They worked with us and made sure we had a great time! Would definitely recommend it to my friends and family! February 2014.... I am looking to make reservations to camp this summer, and I had stayed at this place last year for the first time. My family stayed in late July of 2013. The staff was friendly and inviting. The bathhouse was well kept the entire weekend. The river trip we took was a lot of fun. I was expecting to get an answering machine when I called to make reservations for this year. since its February. I was wrong. The guy that answered the phone, took all of my information, checked the reservations for this year, set me up with some sites, and told me he would mail a receipt with all of the information on it. He also told me about some up coming events that they are holding there this year. I will be sure to make a few reservations this year! You can never get enough of camping. Especially when the place is amazing, like this one is. Keep up the awesome job Riverbend! Your awesome! Been canoeing on the Rifle my whole life, Riverbend is by far the best campground I've stayed at. Will be camping there from now on!!!!! 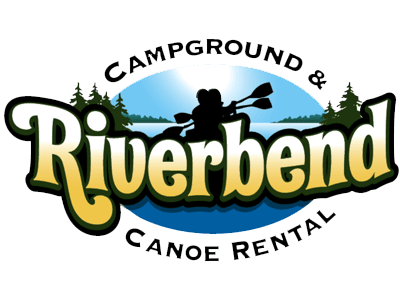 My family and I have been camping at Riverbend Campground for years and cannot image going anywhere else to make family memories. The owner and staff are friendly and helpful. Each year they find a way to out do themselves! How do I put into words how amazing this place is? To me it seems close to impossible, it's just something you have to experience. Riverbend is often the center of those "Remember when...?" conversations that live on for a lifetime. The owners, Tom & Katie along with their family are great hosts and do as much as they can to accommodate & greet everyone. The grounds are always clean and they have activities for both kids and adults almost every weekend. We started camping here about two years ago and it immediately felt like home to us. Everyone is so friendly and you feel like you're surrounded by family. I have made friends with so many people during my several stays here. In fact, great friends that I stay in contact with to make sure we are camping the same weekend. Again, it is definitely a place that you need to experience for yourself, don't just take my word for it! Have fun! This is the most friendliest campground i have ever been too. Let alone be apart of their giant family that treats you just like one of their own family members. I have been here a million times because there is so many nice people, and fun activities to do with your family and friends. It is a very clean and friendly place to be .. It brings so much life to the little town of Omer. Without this campground, Omer would fall off the map in my opinion. I will keep coming to this campground until i grow old! I will always bring my family and friends here as long as this campground stays exactly the way it is now. I highly suggest everyone to check this campground out in your near future. I am sure that between the owners, the seasonals and their family and friends at this campground will make you feel as welcome as I have felt! I would give you ten stars, but this computer wont let me..... lol.